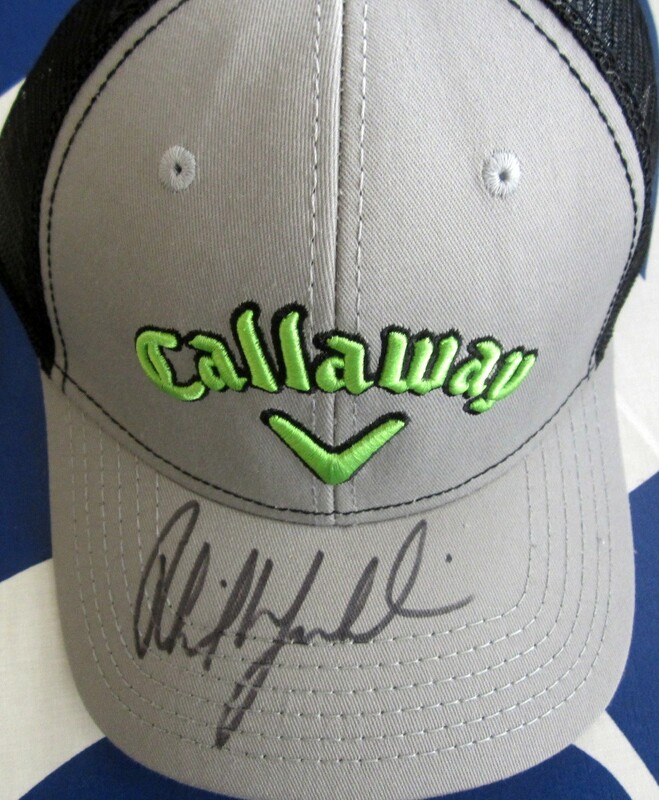 Gray Callaway golf cap or hat with black mesh back autographed on the bill in black marker by PGA Tour superstar Phil Mickelson. Obtained in person, with certificate of authenticity from AutographsForSale.com. ONLY ONE LEFT.